More limited edition collector fragrance bottles, with the usual disclaimers: in most of these cases, the juice is unchanged, just the bottle is “special” (or not, as the case may be), and some of these may not be available in the US. Today’s post includes special edition bottles from Prada, Jean Paul Gaultier, Bond no. 9 and Acqua di Parma; plus a new Eau de Parfum concentration of Annick Goutal Rose Pompon. 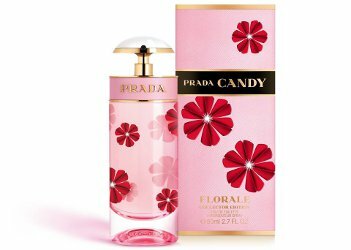 From Prada, a collector edition of Candy Florale, in 80 ml Eau de Toilette and available in travel retail. From Jean Paul Gaultier, the "Gaultier Airlines" editions of Le Mâle (75 ml) and Classique (50 ml), both in Eau Fraîche and available in travel retail. From Bond no. 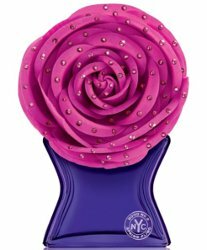 9, the Mother's Day Edition of Spring Fling ("A vivacious feminine floral celebrating the city in bloom"), featuring color-coordinated Swarovski crystals. $425 for 100 ml at Saks Fifth Avenue. 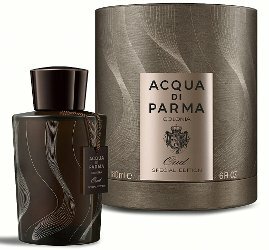 From Acqua di Parma, Colonia Oud Special Edition: "In a special-edition bottle, Colonia Oud from Acqua di Parma is born from the union of the vibrant and enveloping notes of Colonia Intensa with those of the warm and deep Oud oil, an extremely rare oil extracted from agarwood, a precious resin of the aquilaria tree. It opens with a citrus aroma before revealing an extraordinary heart full of precious ingredients such as agarwood, Russian coriander and Haitian amyris wood." £259 for 180 ml at Selfridges. 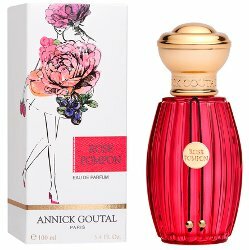 From Annick Goutal, a limited edition Eau de Parfum version of Rose Pompon, with grapefruit, raspberry, rose, violet and vanilla. In 50 and 100 ml. That Annick Goutal bottle is stunning. I generally do not like red, but this one is very appealing. Coincidentally I just upgraded to a limited edition iPhone 8 RED™️; I had been eyeing one for a while and decided to go for it since the IRS is paying off the interest-free loan I lent Uncle Sam last year. Agree. Seems odd it’s in the old bottle, but since I like the old bottle better I guess I won’t complain. I have a red ipod — they are darned cute. I’ve never understood why Apple’s color range is so limited. I think it’s even stranger since it uses the old company name as well. Right. Using up old packaging? Planned before the new packaging was designed?